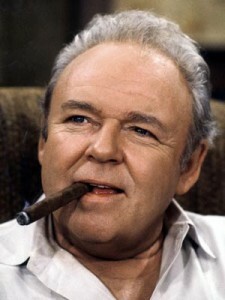 Long before he was Archie Bunker, Carroll O’Connor was a Demon Deacon. Thirty years before O’Connor played his iconic role as America’s favorite loudmouth bigot on the 1970s groundbreaking television show “All in the Family,” he was a student on the Old Campus. By his own account, he was a poor student who spent far more time in Shorty Joyner’s pool hall in downtown Wake Forest than in class. He dropped out before finishing his freshman year. 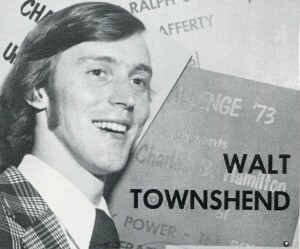 But decades later he fondly recalled his time on the “old magnolia campus” in a letter to then-senior H. Walter Townshend (’73). 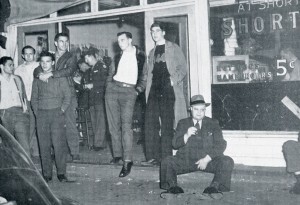 Shorty’s, around 1943; no, that’s not Carroll O’Connor on the sidewalk. Note the sign on the window: Hamburgers and hot dogs for 5 cents. Townshend, who was director of Challenge ’73, also invited Vice President Spiro T. Agnew, who declined. A number of others, including author and educator Jonathan Kozol, did attend the symposium in March 1973. O’Connor turned down the invitation, but in a one-and-a-half page personal letter to Townshend, he offered an interesting glimpse into his time at Wake Forest. 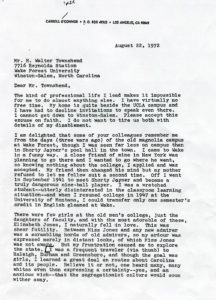 “I am delighted that some of your colleagues remember me from the days (three wars ago) of the old magnolia campus at Wake Forest, though I was seen far less on campus than in Shorty Joyner’s pool hall in the town,” he wrote to Townshend. 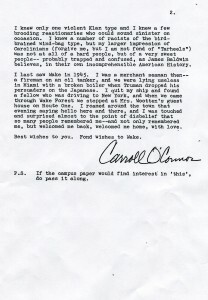 Carroll O’Connor’s letter to Walt Townsend. Townshend, president and CEO of the Baltimore Washington Corridor Chamber of Commerce, has O’Connor’s letter framed and on display in his office, alongside letters from President Gerald R. Ford (P ’72) and Admiral William O. Studeman, former deputy director of the CIA and director of the National Security Agency. It’s an interesting conversation-starter, he said. In his letter, O’Connor also writes about the “few girls at the old men’s college” and the “sheer futility” of falling in love with the daughter of a faculty member. He took to the road, “via thumb,” to visit Raleigh, Durham and Greensboro. Decades before he played Archie Bunker and later the more tolerant Southern police chief Bill Gillespie in “In the Heat of the Night,” he learned some things about racial attitudes in the South. O’Connor dropped out of Wake Forest in the spring of 1942 before finishing his freshman year. He later attended the U.S. Merchant Marine Academy and served briefly aboard a freighter during World War II and then as a civilian seaman until the end of the war. He last visited the Old Campus in 1945, he wrote Townshend. 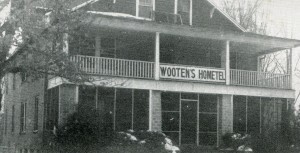 O’Connor remembered Wooten’s Hometel, but misspelled Wooten in his letter. 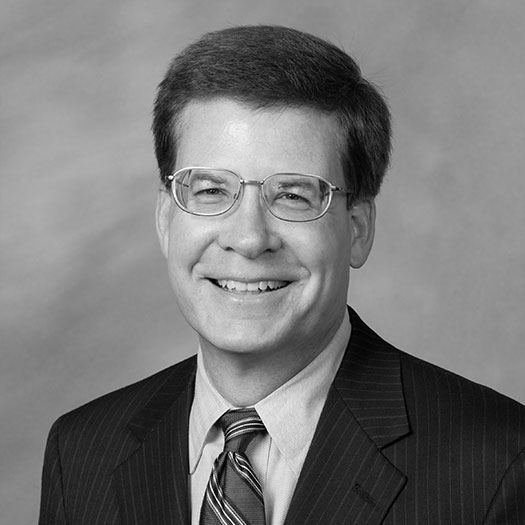 O’Connor never again visited Wake Forest. Twenty-five years later, Bob Mills (’71, MBA ’80), assistant vice president for University Advancement, invited O’Connor to campus to visit the new Shorty’s, which had just opened in the Benson University Center in 1997. When O’Connor returned to college years later at the University of Montana, only one credit in English transferred from Wake Forest. 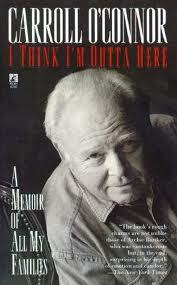 He graduated from Montana with degrees in drama and English in 1951 and later received a master’s degree in speech.